In honor of the Grateful Dead’s 50th anniversary comes perhaps the live package to end all live packages: The band will be releasing 30 Trips Around the Sun, a massive 80-disc/USB set consisting of 30 previously unreleased shows, from the Fillmore in 1966 to the Delta Center in Utah in 1996. 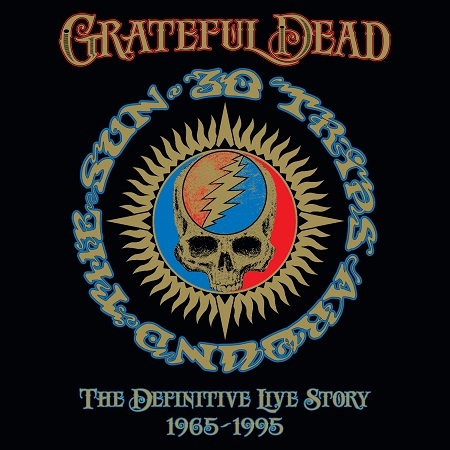 In addition to the 73 hours worth of music, 30 Trips Around the Sun also contains a gold-colored 7-inch vinyl single featuring 1966’s “Caution (Do Not Enter)” and 1995’s live rendition of “Box of Rain,” the final performance of the band featuring the late Jerry Garcia at Soldier Field. (For those overwhelmed by the sheer magnitude of the set, there’s an abbreviated 4-CD version as well titled 30 Trips Around the Sun: The Definitive Live Story 1966-1995).